10/21/2015 This is a draft….simply a presentation of some “image pages” I’ve been creating as I’ve been reflecting, noticing and developing more and deeper understanding of, and awareness about, the amazing continual flow of the comings and goings of beauty and grace…in everything….in every moment…everywhere around me! 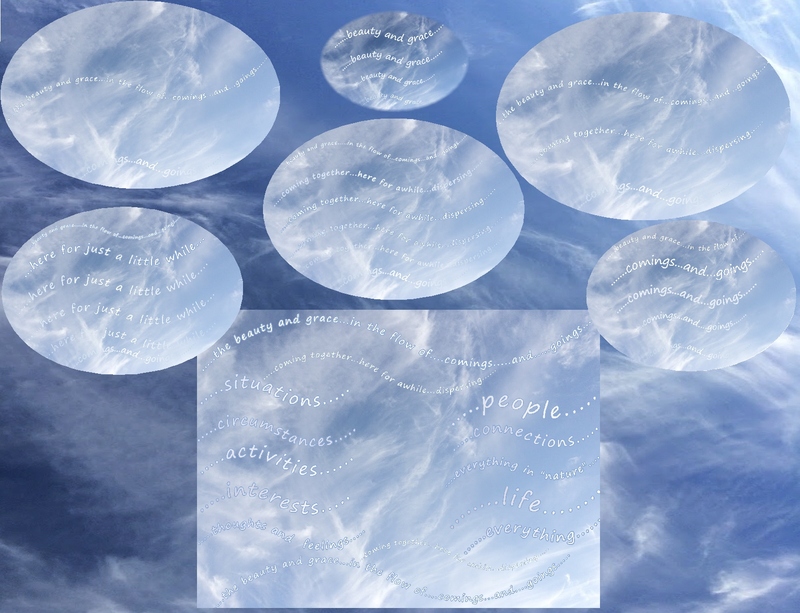 I tend to “think” and develop deeper “awareness” through creating these “image pages”…. my own way of “thinking” and developing “understanding”…..using symbols, metaphors, colors, flowing fonts….a nurturing an intuitive sense and an intuitive understanding…. perhaps, a “backdoor” to my own mind…..Sometimes, words of explanation of the pages arrive……..sometimes….maybe….maybe pretty soon………….. 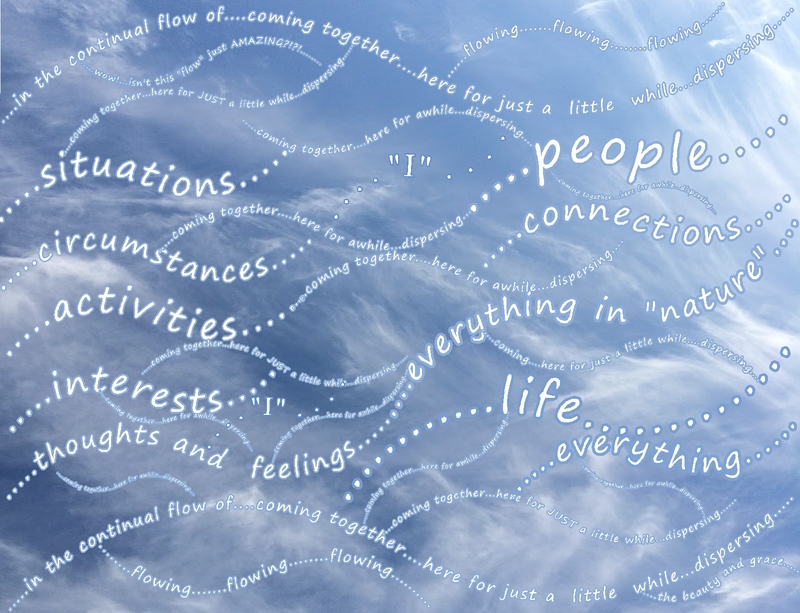 These “pages” seem to be part of a several month sequence of thoughts, reflections, awarnesses and ideas…all using awarenesses that came out of my experiencing BIG TURBULENCE! during an airplane flight…. and from subsequently watching the incredible expanse sky with a deep sense of amazement, awe and wonder…. 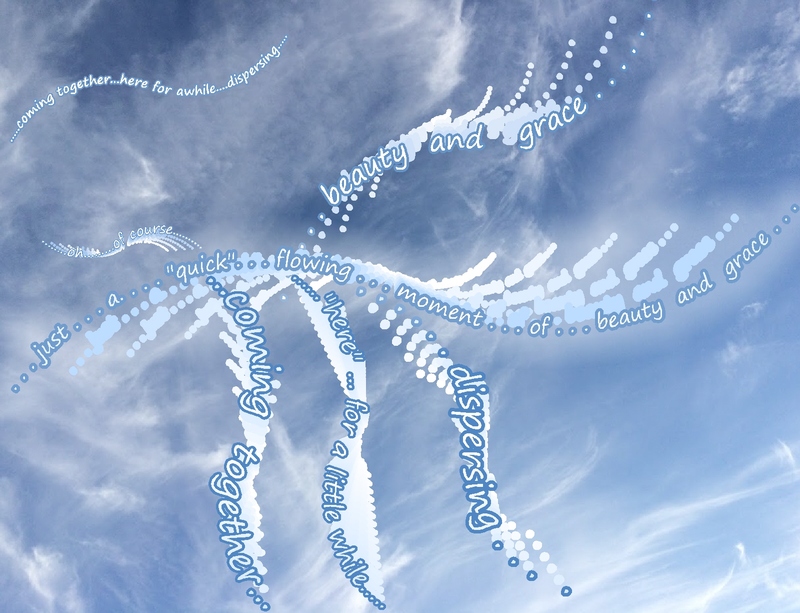 the embedded dynamics of various clouds, cloudy skies and blue skies…and how similar dynamics seem to apply to the dynamics of our minds. Part 1: Turbulence! 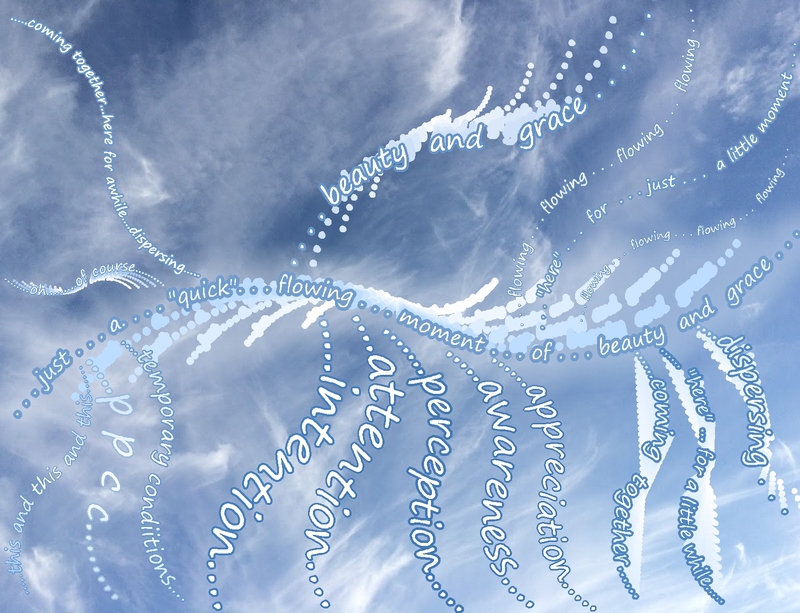 “Ohhh…of course!”….BUT…..”Maybe not so….” creating greater understanding about how we seem to be “blown around” by the dynamics of the many kinds of “winds” in our minds. Part 2: “Blue Sky: understanding the dynamics of our minds….developing more awareness of our habitual reactions, patterns, habits and filters….all with the intention of moving past feeling like we’re being controlled by our habits, patterns and filters and seeing the vast blue sky more often. Part 5: Everyone Matters…No Matter What, Every Being on Earth Matters A post from 2014. 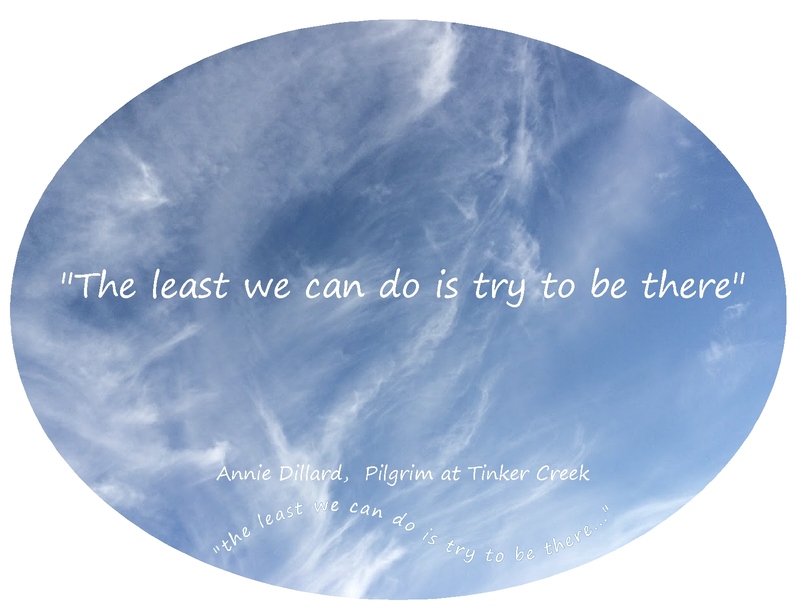 Realizing that no matter how stuck (or unstuck) we or others might be….every single one of us “matters…. 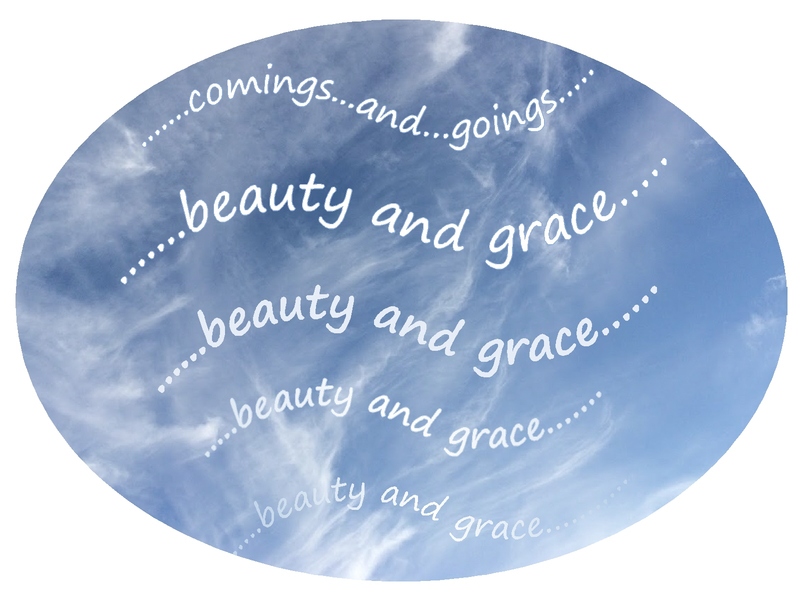 Please enjoy the beauty and grace of developing these deeper and broader understandings of the “continuing flow of beauty and grace” in each of our lives…in ALL of our lives…in nature, in our precious, loving relationships, in ALL people around us, in all of our relationships and activities…. 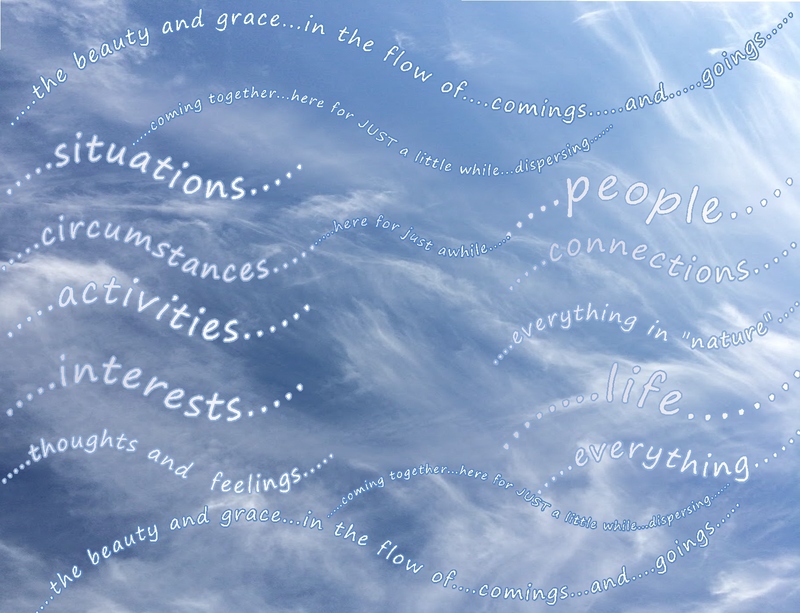 all interconnected…all interdependent…all inter-being….like the flow of these beautiful, flowing, wispy cirrus clouds across that incredibly vast, expansive, beautiful blue sky…. 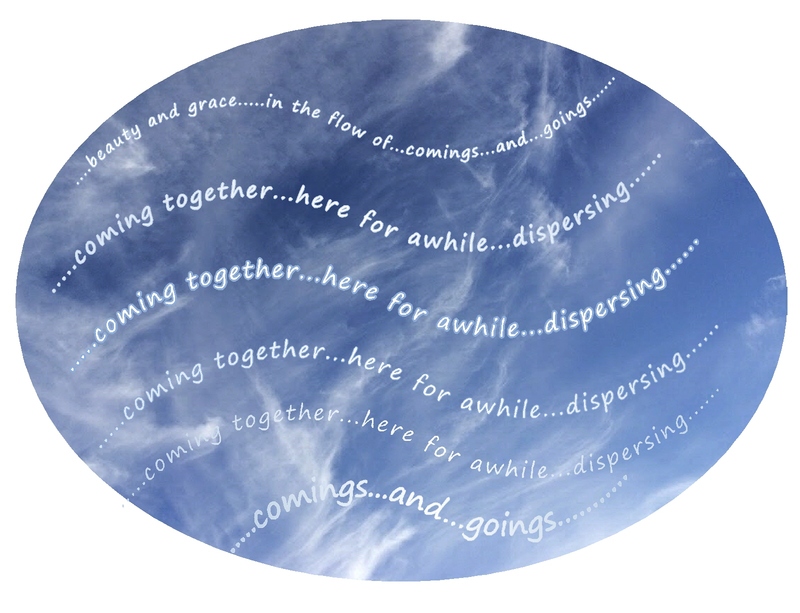 coming together…here for just awhile…dispersing…. 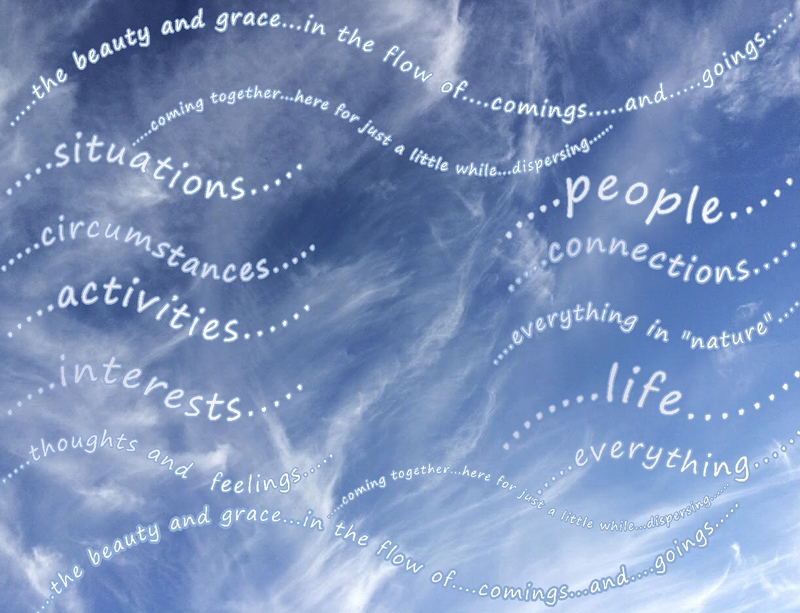 whether the “contents” of that “flow” might seem positive…. which I “like” and am happy to have continue! coming together….just here a little while…and then thankfully dispersing! in so many of the various aspects of my life! 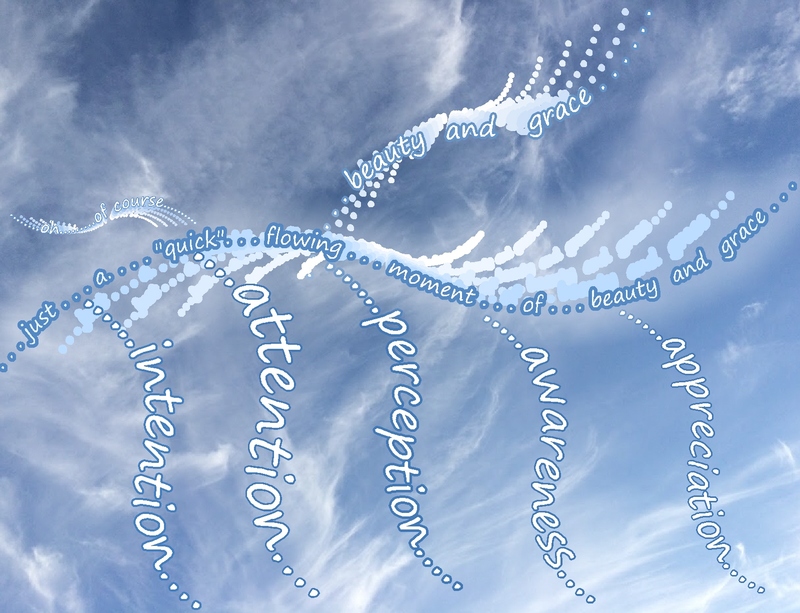 slowly, slowly, slowly…..becoming aware, more often, of those dynamics…. This flow happens so fast!…but often I don’t realize that! whoosh! …. just like that….one moment it’s here….next moment it’s gone! I’m shocked that something….or a person or animal I love…. is “gone”…. I didn’t want that loved one to go away! …I wanted that loved one to stay here! didn’t last as long as I wanted or hoped for! before I really appreciated the loved one as much as I wish I had! Slowly, slowly, slowly…..I’m bringing these awarenesses together…. in this very moment…for this brief moment…. that the beauty and grace of each of these “categories” are “here”…for just a little while…. coming together….here for just a little while….dispersing…. coming together…here for just a little while…dispersing…. simply….. a very, very lovely continual flow…. with, within and around me….